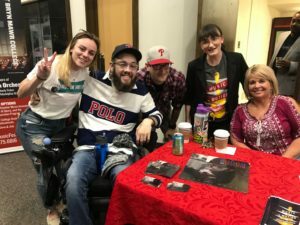 This past Monday, April 8th, 2019, The Music In Motion Foundation team set up shop at the Rowan University Music Industry Career Fair. We got to connect with students, alumni, music industry professors, and professionals from all sides of the industry. We are super thankful to be connected with Mat Gendreau and the entire Rowan Music Industry program. We are already looking forward to our benefit concert this fall and attending this great event again next year!